The insurance sector in India has undergone a number of phases since its inception in 1818. The sector gained real momentum in the last decade when the Indian government allowed private companies to furnish insurance products. Moreover, India welcomed foreign direct investment up to 26% in the insurance sector and since then it has been booming, capturing every opportunity for growth. The Life Insurance Corporation of India (LIC), also known as Bhartiya Jeevan Beema Nigam, is the largest state-owned life insurance company in India, and also the country’s largest investor. It is fully owned by the Government of India. Headquartered in Mumbai, financial and commercial capital of India, the Life Insurance Corporation of India currently has 8 zonal Offices and 113 divisional offices located in different parts of India. The slogan of LIC is “Zindagi ke saath bhi,Zindagi ke baad bhi” which means “during life and after life”. ICICI Prudential Life Insurance Company is a joint venture between ICICI Bank, one of the foremost financial services companies of India and Prudential plc, one of the leading international financial services group headquartered in the United Kingdom. ICICI Prudential was amongst the first private sector life insurance companies to begin operations in December 2000 after receiving approval from Insurance Regulatory Development Authority (IRDA). ICICI Prudential Life’s capital stands at Rs. 4,780 crores (as of September 30, 2010) with ICICI Bank and Prudential plc holding 74% and 26% stake respectively. HDFC Standard Life Insurance Company is one among the leading private insurance companies in India. Wide range of individual as well as group insurance schemes is offered by this insurance company. This company is a joint venture of Housing Development Finance Corporation (HDFC) limited and the Group Company of the standard life in United Kingdom. HDFC is one of the top housing finance institutions in India. The percentage of equity held by HDFC stood up to 72.38% as on 31st December 2007. SBI Life Insurance is a joint venture life insurance company between State Bank of India (SBI), the largest state-owned banking and financial services company in India, and BNP Paribas Assurance. SBI owns 44% of the total capital and BNP Paribas Assurance the remaining 26% and others 30%. SBI Life Insurance has an authorized capital of 2,000 crore (US$446 million)and a paid up capital of 1,000 crore (US$223 million). When the government of India opened the life insurance sector to private companies, SBI started SBI Life as a joint venture with BNP Paribas in 2001. While in its initial stage its business was mainly from bancassurance channel, now it is developing its own agency team for selling its life insurance products. Birla Sun Life Insurance Company Limited (BSLI) is a joint venture between the Aditya Birla Group and Sun Life Financial Inc, one of the leading international financial services organisations from Canada. With an experience of over a decade, BSLI has contributed to the growth and development of the Indian life insurance industry and currently is one of the leading life insurance companies in the country. Enjoying the trust of over 2.4 million customers, BSLI is known for innovations. BSLI offers a complete range of offerings comprising protection solutions, children’s future solutions, wealth with protection, health and wellness as well as retirement solutions. Bajaj Allianz Life Insurance Company Limited is a joint venture between Allianz AG, one of the world’s largest Life Insurance companies and Bajaj Auto, one of the biggest 2- &- 3 wheeler manufacturers in the world. Allianz AG is an insurance conglomerate globally and one of the largest asset managers in the world, managing assets worth worldwide with 115 years of financial experience in over 70 countries. Bajaj Allianz is one of the fastest growing private Life Insurance Company in India. This has more than 1,200 branches across country and deals in primarily unitlinked, traditional, health, child and pension policies. Kotak Mahindra Old Mutual Life Insurance Ltd. is a significant player in the Indian life insurance industry. It is a joint venture between Kotak Mahindra Bank Ltd. (part of the renowned Kotak Mahindra group) and Old Mutual. The company was established in 2001 and is headquartered in Mumbai, India. As of 31st Oct 2008, the company has over 188 branches across 124 cities. The Kotak Mahindra Bank Ltd is the face of the renowned Kotak Mahindra Group, a financial services organization that was established in 1985. Old Mutual is an international savings and wealth management company based in the UK. 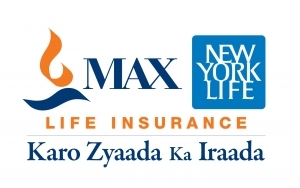 Max New York Life Insurance Company Ltd. is a joint venture between Max India Limited, one of India’s leading multi-business corporations and New York Life International, the international arm of New York Life, a Fortune 100 company. The company has positioned itself on the quality platform. Max New York Life Insurance offers a suite of flexible products. It now has 25 individual life and health insurance products and 8 riders enabling customers to choose the policy that best fits their need. Headquartered in Mumbai, Future Generali India Life Insurance Co. Ltd. is a life insurance company. It is a joint venture between Generali Group, Italy’s leading insurance company, and Future Group, an India based company having interests in various sectors. Future Generali India Life Insurance Co. Ltd. offers group and individual life insurance policies. It also offers home and motor insurance policies. The Indian Insurance Sector is growing day by day. Some other competitive Insurance Companies are Aviva Insurance, ING Vyaysa, MetLife India, Reliance, Apollo, Oriental Insurance Company etc.